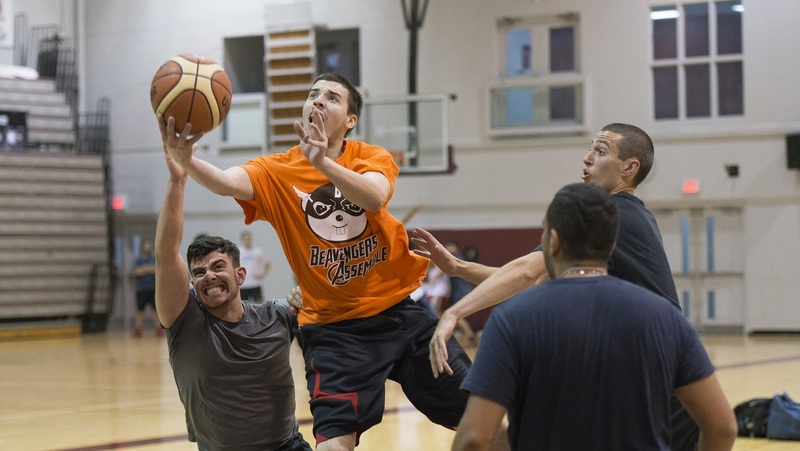 Our Recreational Basketball 8 game league has a regular season of 5 games followed by a playoff style elimination bracket over the final 3 weeks of the season. Teams eliminated from the playoffs will play other eliminated teams to guarantee all teams 8 games. Our Recreational Basketball 12 game league has a regular season of 8 games followed by a playoff style elimination bracket over the final 4 weeks of the season. Teams eliminated from the playoffs will play other eliminated teams to guarantee all teams 12 games. All games are self officiated and will be governed by the MCSL Basketball rules. Games are in hourly timeslots and played on Thursday nights between 6-10pm.